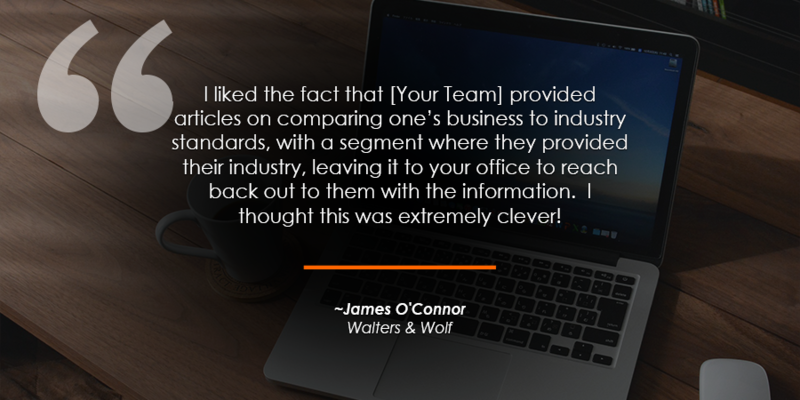 We’re still loving the service and getting a great response from readers about the content. 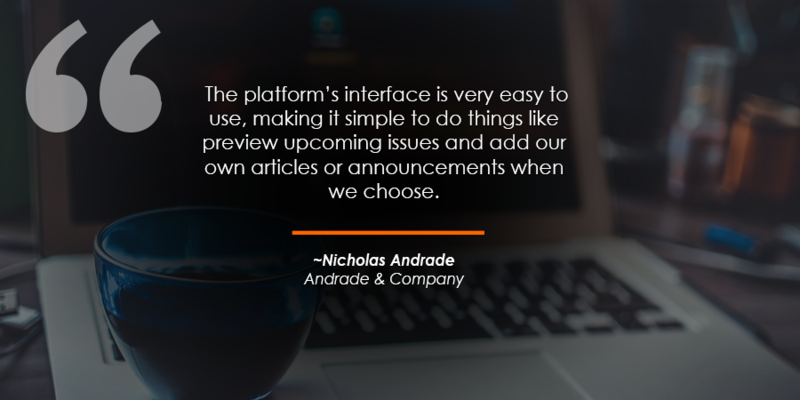 After the timely, relevant and interesting content, our favorite features are the dashboard which makes reviewing analytics quick and easy and the trigger article alerts, which allows me to monitor prospect engagement in real-time. I’m impressed with Customer Support. We had our initial training in December, and our first issue went out right on schedule two weeks later. We are very pleased with the newsletter’s appearance and content. And the reception from our clients and other contacts has been great. 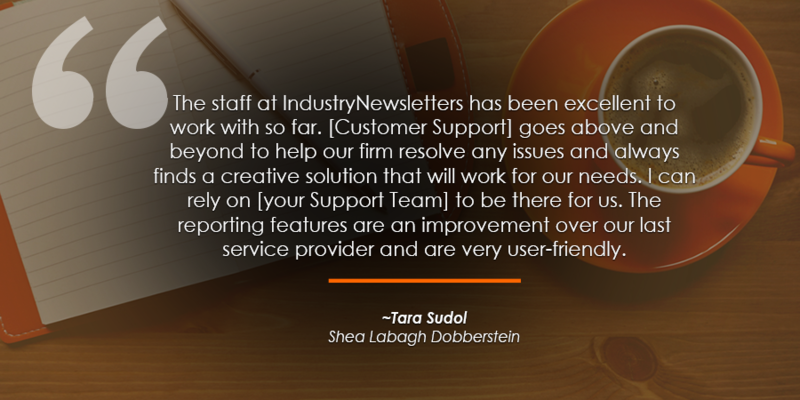 Overall, we are very happy with IndustryNewsletters, and our decision to go with your service. I have been using IndustryNewsletters since January 2016 and couldn’t be happier with the service. 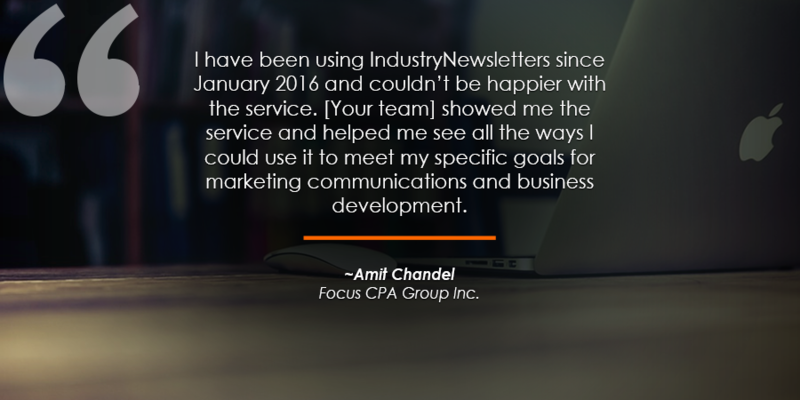 David showed me the service and helped me see all the ways I could use it to meet my specific goals for marketing communications and business development. Once on board, their system was very easy to learn, and their initial training was excellent. They even help me grow my distribution list! The creative department at IndustryNewsletters helped design my newsletter saving me the time and expense. They even created custom banners for me to promote my new book. Taking it to the next level, David scheduled a meeting with their founder and CEO, and their head editor. During the call, we discussed my specific goals in terms of services I wanted to expand over the next year. They then wrote articles, they call them Trigger articles, that are generating leads throughout the year for those services! I don’t have to worry about me or my staff spending time on the service as they take care of everything. Whenever I want to add articles of my own, their platform makes it very easy to do. 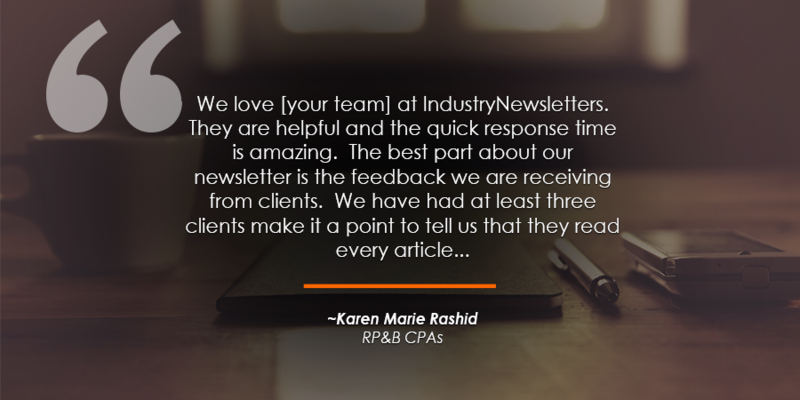 Client response has been great to the articles and format, and I am also finding the service a great way to generate more referrals and leads from prospective clients. I have found that the staff are all very experienced with the CPA profession, so know what I want and need to help add that extra value to our clients while demonstrating our expertise to prospects. 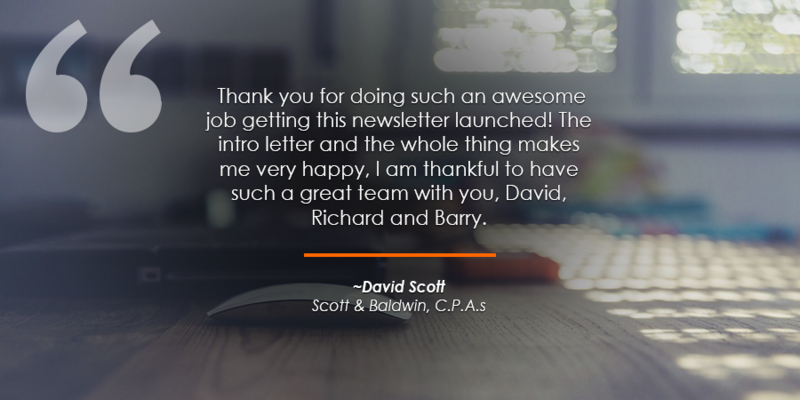 And they continue to be very innovative, adding forward-thinking elements to their service that really sets it apart from the other newsletter services out there. Unlike other companies, they keep in touch and truly care that my expectations are being met. 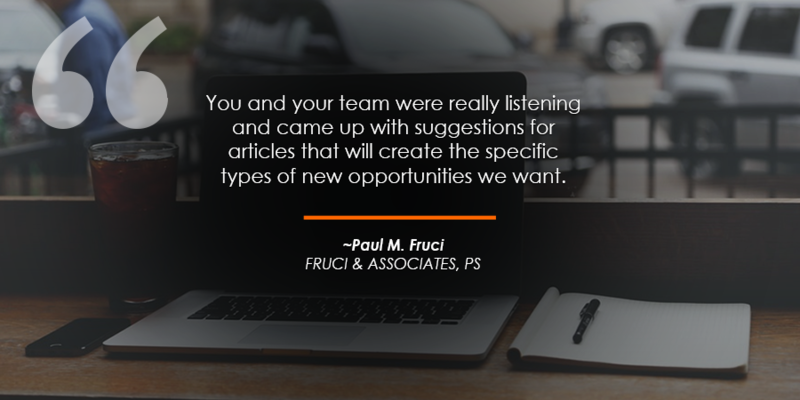 We discuss results, new strategies, additions to their service, and they even ask what more they can add to the platform and content to help me. Overall I couldn’t be happier with IndustryNewsletters and am highly recommending that my colleagues in the profession take a look at what they are doing. You’ll be glad you did. CPA, Focus CPA Group Inc.
President of Fruci & Associates, P.S., Fruci & Associates, P.S.